Waisey, mujh se muhabbat kar ke karo gi kiya? There are questions and then there are questions –the loaded ones, the kind that give you a pause, make you think, reflect… and Salman’s very flip question to Falak belonged to the latter category. Yes, Falak, why the heck would you want to fall in love with this arrogant, affected, pompous egoist? What is it that you see in him that others around you, neither Rushna nor Hamza, can see? The answer, as Falak responds, is a very simple, she doesn’t know. She doesn’t know why, she doesn’t know how, she doesn’t know when, but happen it did – she fell in love – blindly and instantaneously. This was not a conscious choice, or a clearly thought out plan of action, and has infact caused tremendous pain. Paradoxically, this suffering and misery, though excruciating, is very welcome. Welcome, because it is inflicted by the uncaring beloved. At this point the lover loses all sense of self and lives to hear just that one word from the beloved’s mouth. One semi-apology and Falak melts into a puddle at Salman’s feet. Despite Hamza’s vehement objections, Falak forgets that just a minute ago she had sworn never to talk to Salman – ever. Concurrently, even as Hamza is dispensing relationship advice, he is extremely exasperated as well. Falak, who doesn’t have the time of day to listen to his declarations of love, is Hamza’s object of desire. Though he tells Falak she’s losing her mind over Salman, he is no better. Even after having his proposal rejected twice over, he’s back again, trying to convince Falak of his undying love. The quest to attain thenazar-e karam of that elusive yaar has begun, as has the journey from highest of highs to the lowest of lows, from rationale to irrationality, from majazi to haqiqi, from wujood to zaat. Pleasure and pain, ecstasy and agony, sensitivity and bluntness, all shades of contrary but analogous experiences were on full display here. 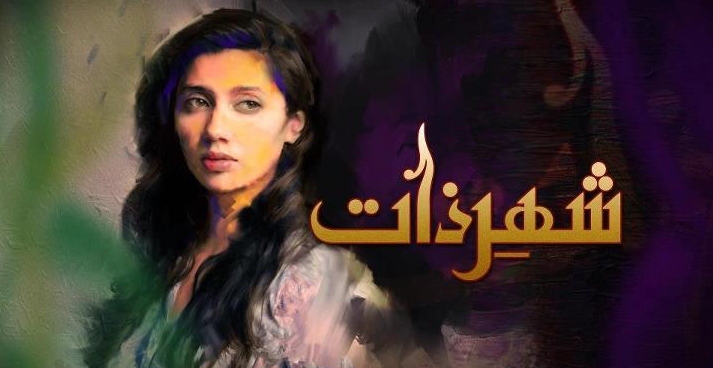 Infuriated with Falak’s rejection, Hamza pours out his frustrations and anger in his work. As for Falak, though she publicly swats away well-meaning advice, there is a part within her that does question her insane infatuation. I loved her dialectal introspection. While one can justify and rationalize everything to everybody else, it is hard to turn away from the questioning image in the mirror. Unlike her daughter though, who does have a moment or two of self-doubt, Mehrunissa, riding on her high horse, gets agitated by the needy relatives who come to her door seeking help. When naani tries to reason with her she gets very irritated and walks out leaving behind echoes of her high-handed chatter about high society, social status and socialite friends. As naani was holding up the metaphorical mirror to an unseeing Mehrunissa, I could not but reflect on how many times I have been similarly irritated, or so caught up in my own world and my own affairs that I have failed to empathize or sympathize with those needing my attention or help. Or like Falak, been so enamored of my own desires and wants that I have ignored the needs of those around me. Standing in front of the mirror called Shehr-e Zaat, I was not too happy with myself today. This then, for me, is the beauty and success of this serial. As a viewer I am not only engaged with the narrative unfolding on the screen, but also reflecting on my own previously un-thought of story that lies within. This was another exceptional episode. With every passing week I fall a bit more in love with Shehr-e Zaat. I feel with and for every character. I can see bits and pieces of myself reflected in every scene. Today, Mahira and Mohib were brilliant as the besotted lovers. Mikaal, with his effortless charm was hotness and coolness personified – the perfect Salman Ansar. Hina and Samina were their usual impeccable selves. Mansha was so cute today as the poor Rushna who keeps getting the shut-up call from Falak. Honestly, Falak, yaar, woh bechari dost hai tumhari, be nice to her. Along with the actors, the camerawork, the lighting and framing of scenes has been exceptional. And, like always, the highest applause is for the real superstars here, Umera and Sarmad – two thumbs up! !